During our Column-by-Column series on single-phase motors, we talked about Locked Rotor Amps and briefly touched on KVA Code, saving it for a three-phase discussion. Since we discussed the three-phase motors specifications listed on pages 22 – 28 of the Franklin Electric AIM Manual in our last post, now is the perfect opportunity to revisit KVA and where that code letter comes from. KVA Code is most commonly used to specify a reduced voltage starter. Reduced voltage starters are more common and important for higher horsepower, three-phase motors since they pull more amps than single-phase motors. As submersible installations and the motors in them get larger, Locked Rotor Amps get much larger as well. For example, a system with a 6-inch, 50 hp, 460 V motor has a maximum running load of 77 amps. However, that same motor has locked rotor amps of 414. As we discussed in the post Locked Rotor Amps and KVA Code, if the motor is started directly across the line (called DOL for direct-on-line), it will try to pull 414 amps at the moment of start-up. In many cases, this is far more amperage than the electrical service can provide. That’s where reduced voltage starters come in. Reduced voltage starters allow the system to ramp up instead of applying full voltage to the motor all at once. The reduced voltage starter aids a system pulling too many amps at start up; in this case, the motor will never see the locked rotor amps of 414, saving the system from tripping and possible overload. The KVA Code is used to specify which reduced voltage starter is needed for a specific motor. This code letter defines a group of motors based on a combination of their voltage, locked rotor amps, and horsepower. 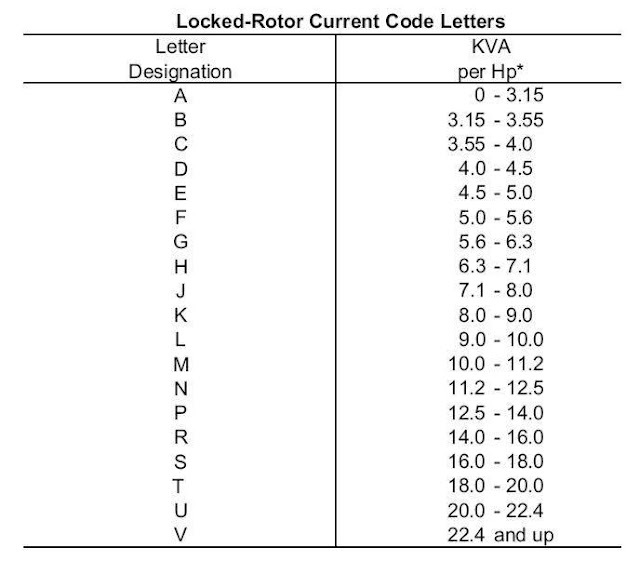 Each KVA Code letter corresponds to a universal KVA/HP range, as defined by NEMA. By referencing the KVA Code chart we see the corresponding letter is H, and we have reached the correct KVA rating. Luckily, the math is already done for us and all KVA Codes are located in the AIM Manual, as well as on the motor nameplate. That wraps up our discussion on Locked Rotor Amps, KVA Code, reduced voltage starters and the columns of three-phase motor specifications, starting on page 22. Come back next week when we will review “what you really need to know” from this series. 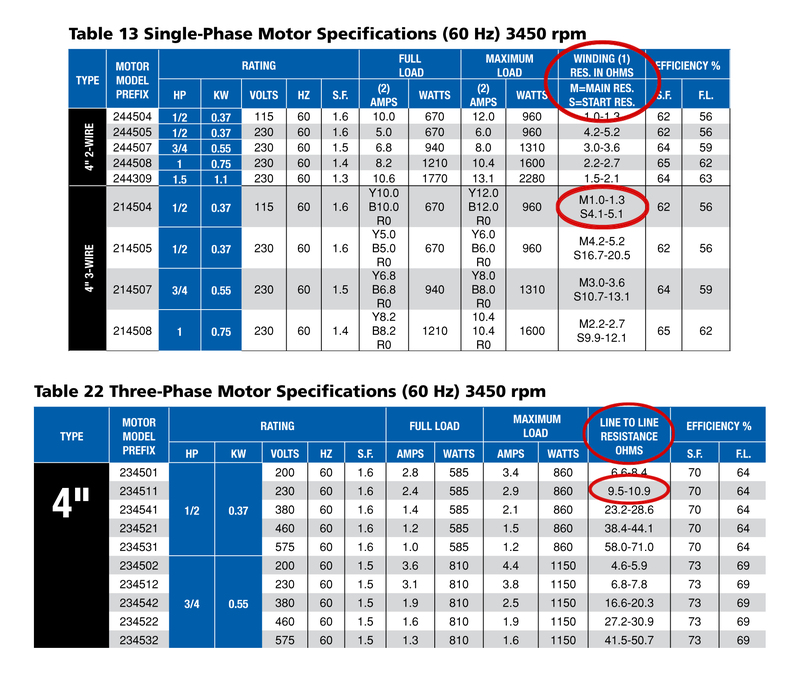 Over the last several weeks, we’ve examined each column in the single-phase motor specification table on pages 13 and 14 of the Franklin Electric AIM Manual. This week, we’ll take a quick look at the equivalent three-phase information found on pages 22 – 28. With so many pages of three-phase motor specifications, at first glance it may look as if three-phase motors must have more going on than their single-phase counterparts. 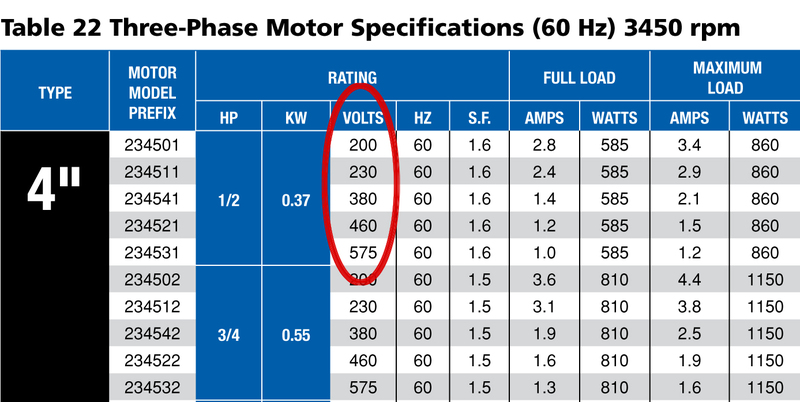 However, the “more” that’s going on here is because three-phase motors come in far more ratings than single-phase. Single-phase power has some limitations, and as a result, Franklin single-phase motors are only offered from ½ to 15 hp. Franklin three-phase motors are available in ratings all the way from ½ to 200 hp. In addition, there are more three-phase voltages. Whereas single-phase motors are either 115 or 230 V, three-phase motors can have five voltages: 200, 230, 380, 460, and 575 V. So, more hp and voltage ratings mean more models. 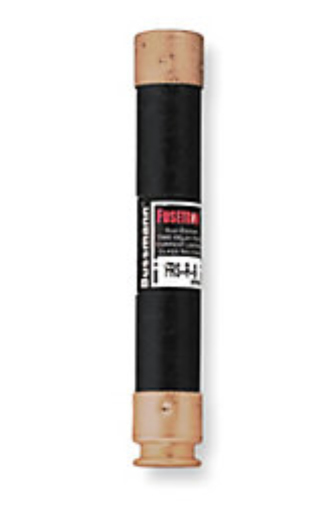 In fact, Franklin offers three-phase submersible motors for just about every application. However, although the tables are larger, looking at the column headings you can see that it’s the same information that we already covered for single-phase. Specifications such as maximum load, line (winding) resistance, and locked rotor amps all have the same meaning whether we’re talking single- or three-phase. There is one difference to note. Notice that all of the three-phase motors only have a single line of data, whereas most of the single-phase motors have 2 or 3 lines of data. This is because single-phase motors have two different windings, a start (auxiliary) winding and a main (run) winding, and there are physical and electrical differences between them. So, when measuring maximum load, for example, in a single-phase motor, there are three readings to take (run, start, and common), and each of these measurements will be different. However, three-phase motors have three identical windings. Therefore, current and winding resistance of each will be the same. So, although there are still three readings to take with a three-phase motor, the expected value is the same for each one since each winding is the same. Therefore, a single line in the table applies to all three windings. Another difference between single- and three-phase motors is that 3-wire single-phase motors require a control box. Although a panel of some type is generally used, three-phase motors do not require a control box. As a result, we don’t need to make a distinction between the standard control box and a CRC control box. All of this makes three-phase motors actually simpler than single-phase motors. If you know the information from our series on single-phase motors, then you already know three-phase motors. The differences in the tables don’t actually complicate things, but simplify the system and may even offer you new business and product opportunities. No matter what kind of Franklin motor you are working with, if you have application, installation, or troubleshooting questions, contact our Technical Service Hotline at 800.348.2420 or email at hotline@fele.com. 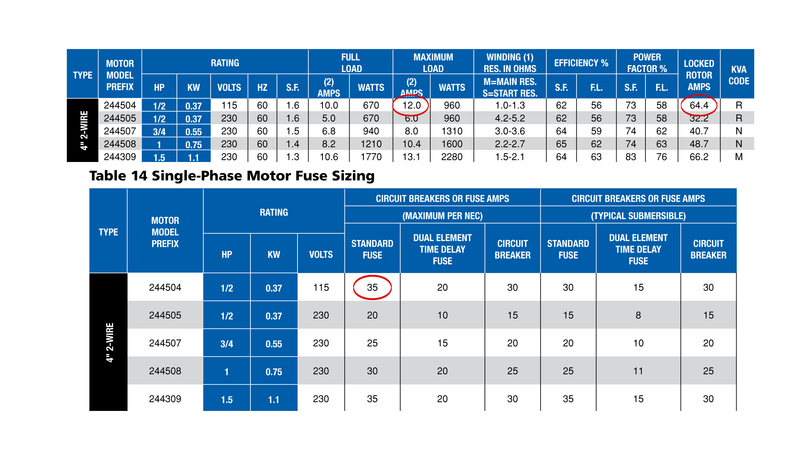 In our column-by-column series over the last few weeks we’ve been looking at Table 13 of the Franklin Electric AIM Manual on Single-Phase Motor Specifications. Opposite this page is Table 14, Single-Phase Fuse Sizing. 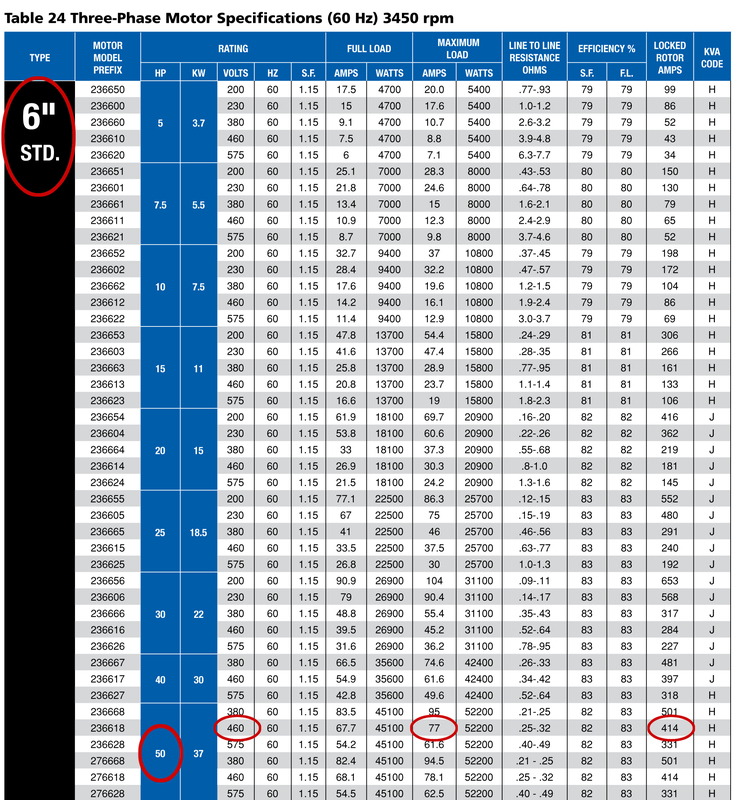 In this post, we’ll examine the six columns in this table listed for each submersible motor. As a first step, it’s important to understand that fuses and circuit breakers are not overloads. Overloads, which are found either in the motor or the control box, protect the motor. Fuses and circuit breakers, on the other hand, protect the electrical system. That is, they protect the wiring in the circuit and trip or blow to interrupt excessive current. This prevents against wire damage from overheating or even fire. Although fuses and circuit breakers have the same function they operate differently. A fuse is a type of low resistance resistor that acts as a sacrificial device to provide over-current protection. When the current gets beyond a certain threshold a small link inside the fuse gets hot enough that it melts, thereby “blowing the fuse” and causing power to be cut from the system. 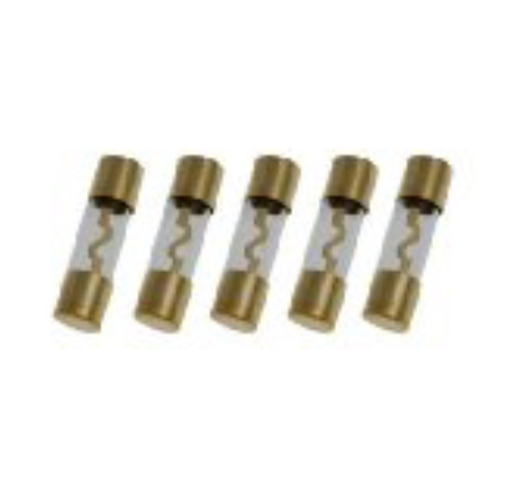 Fuses are offered as standard or dual element / time delay fuses. A standard fuse is a fast response fuse, which means it will trip instantly any time the amperage exceeds the fuse rating. In any system the standard fuse offers the least amount of protection, as it allows the current to run higher before tripping. One can think of a standard fuse as providing catastrophic protection. As the name implies, dual element / time delay fuses combine two elements into one package. One element operates like a standard fuse. However, a second element reacts at a lower current but is far slower to react. This time delay element provides better system protection and allows the momentary start-up current to pass through. Although not an overload per se, this arrangement offers some secondary overload protection to the motor. A circuit breaker is a mechanical over-current protection device, using an electromagnet to literally flip a switch off and cut power. 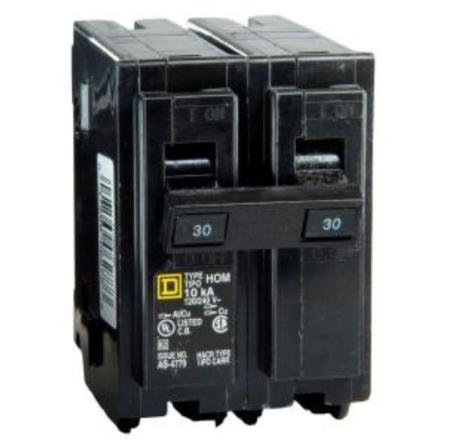 Being electromechanical, circuit breakers can be reset whereas fuses are sacrificial and must be replaced. With that as background, let’s take a closer look at Table 14. The first thing you may notice is that there are two broad categories, Maximum per NEC and Typical Submersible. The column Maximum Per NEC represents maximum fuse and circuit breaker size requirements as recommended by the US National Electric Code. The NEC offers a broad, general rating system that applies to all motor types. Amperages in these columns are calculated by the NEC using factors including Locked Rotor Amps and Maximum Load Amps. The amps recorded here are the highest amount of amps recommended for a fuse or circuit breaker. Moving to the right we find the column labeled Typical Submersible, specifying the same three categories below but at lower amperages. These Typical Submersible sizes are Franklin Electric-recommended, calculated specifically for typical Franklin Electric submersible motor performance by engineers utilizing decades of experience in the field. Turning our attention to the three columns below, we see values for the three types of over-current protection we previously discussed: Standard Fuse, Dual Element Time Delay Fuse, and Circuit Breaker. The idea behind the recommended over-current protection amps is to get the lowest amp fuse or circuit breaker that will allow the brief start-up amps to pass through without tripping and still provide some protection for the motor. For example, the Maximum Per NEC Standard Fuse on a 4-inch, 2-wire, 115 V motor is 35 amps. This means that a 35 amp standard fuse is the smallest able to withstand the brief 64.4 start-up amps (or Locked Rotor Amps) of the motor without nuisance-tripping. However, it also means that this motor, with a maximum load of 12.0 amps, has the potential to run at up to 35 amps before tripping the fuse, possibly overloading the system and offering little motor protection. The Maximum Per NEC Dual Element Fuse recommended for this motor is 20 amps while the recommended circuit breaker size is 30 amps. Franklin’s Typical Submersible columns recommend a standard 30 amp fuse, a 15 amp dual element fuse, or a 30 amp circuit breaker. Based on experience, these sizes work, protect the wire, and offer the motor some secondary overload protection. If the amps were any smaller, our system could nuisance-trip at start-up. Electrical codes require that fuse or circuit breaker protection be provided as part of the installation, and it’s critical that these components be sized correctly. Hopefully, this post has shed some light on how each submersible motor listed can have six different fuse or circuit breaker sizes listed and where these numbers come from.